The classic Chinese comfort dish, it's believed that fried rice (chao fan) originated in the city of Yangzhou in eastern Jiangsu province. Made with barbecued pork, shrimp, and spring onions, Yangzhou fried rice is still the standard by which all other fried rice dishes are judged. 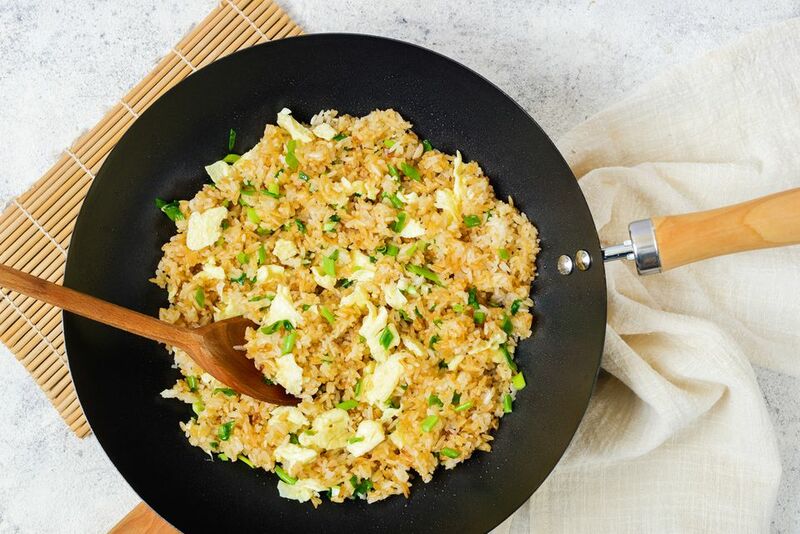 But you don't need to follow a special recipe to enjoy fried rice—it's a great way to use up leftovers. 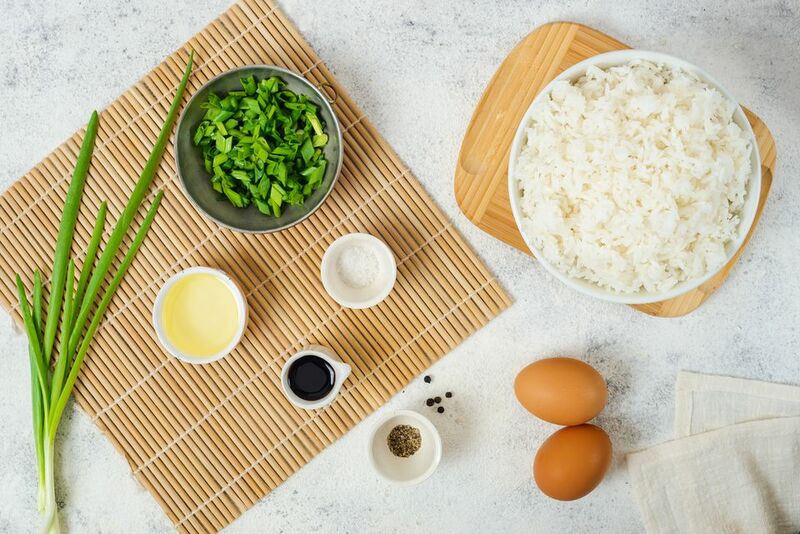 This basic fried rice recipe makes a nice alternative to steamed rice as a side dish, or you can turn it into a main meal by adding your favorite proteins and vegetables. If you're adding additional ingredients, increase the number of eggs to three. The most important tip in making fried rice is to use rice that has been previously cooked. Using previously cooked rice helps keep the dish from turning out wet or mushy. While you can use rice that has been cooked the night before, 2 or 3-day-old rice is even better. Gently rub the rice between your finger to break up any clumps—this will help the rice cook more evenly. In a small bowl, lightly beat the eggs with a fork or chopsticks until they're frothy. Heat a frying pan or wok on medium-high heat and add 2 tablespoons oil, swirling so that the bottom of the pan is coated. When the oil is hot, reduce the heat to medium and add the eggs. Cook the eggs, stirring, until they are lightly scrambled but not too dry. Remove the eggs and clean out the pan. Add 1 tablespoon oil, swirling so that the bottom of the pan is coated. Add the rice. Stir-fry for 2 to 3 minutes, until the rice is heated through. Note: Traditionally, the Chinese do not add soy sauce to rice. If you like, you can serve the dish plain, without the soy or oyster sauce. Another option is to add a small amount (1/2 to 1 teaspoon) of XO sauce or thick soy sauce, or to use 2 to 3 teaspoons of dark soy sauce—these will give the rice a darker color. When the rice is heated through, add the scrambled egg back into the pan. Add the green onion. Stir fry to heat everything through. Basic fried rice makes a nice alternative to plain steamed rice as a side dish. Try pairing the dish with a basic beef stir-fry. If you're looking for more fried rice variations, chicken fried rice and quick and easy pineapple fried rice are two additional favorites.